I was reading this blog a couple days ago and, well, was floored. In my mind – my genealogical mind – I guess I just thought these maps were one of the things you’d go to first, if they existed for the place you were researching. In my research, these maps have been a Godsend. Per Wiki, a cadastral map is “a map that shows the boundaries and ownership of land parcels. 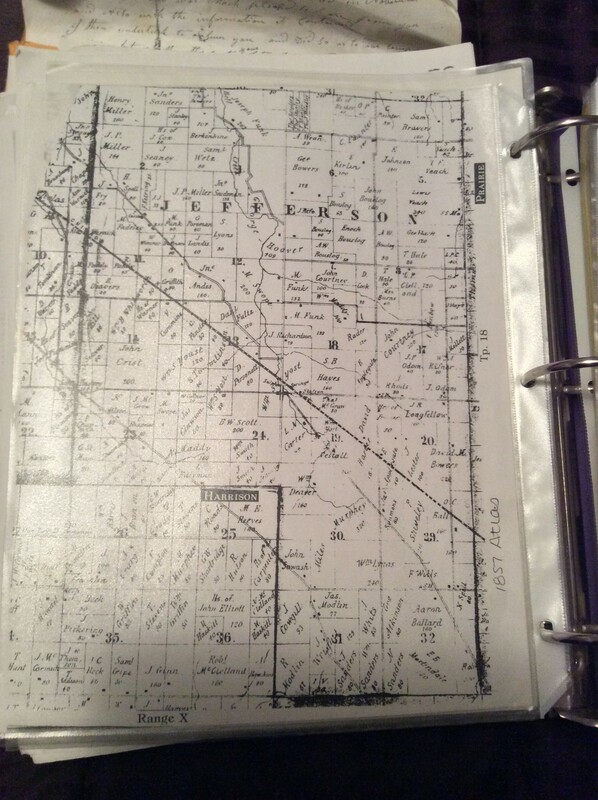 Some cadastral maps show additional details, such as survey district names, unique identifying numbers for parcels, certificate of title numbers, positions of existing structures, section or lot numbers and their respective areas, adjoining and adjacent street names, selected boundary dimensions and references to prior maps.” The bold is mine; the cadastral maps I’m familiar with show where houses were located on the land. Aaron Ballard is located in Section 32, the lower right-hand corner. Aaron Ballard is located in Section 32, the lower right-hand corner. Notice the small black square, which locates his house. Aaron Ballard is still noted in the same spot, Section 32. Sorry for the poor quality; it was a camera pic of my screen that I took for a distant cousin to show him where and how the land looks now. 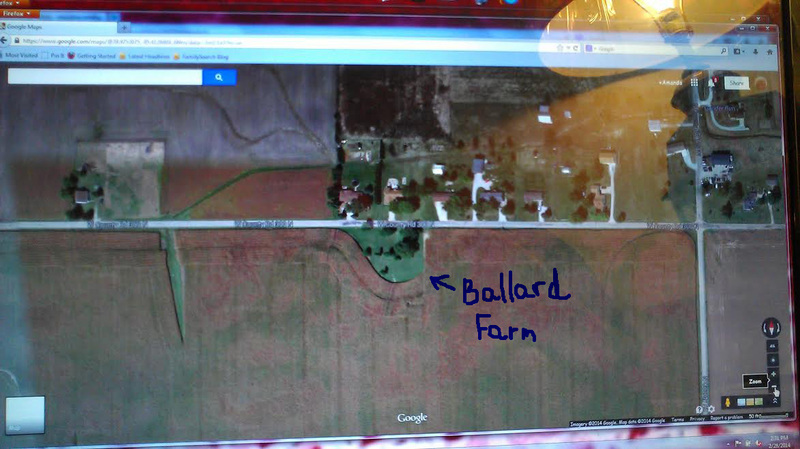 The area of the homestead has been not been farmed over, though the house is gone. The interesting thing about the earliest cadastral map, the one marked years 1821-1849, is that it shows the land my 5th-great-GM owned, Catharine Hickman, directly across the road from Aaron Ballard (Catherine Hickman was Nancy Pearson Ballard’s grandmother). 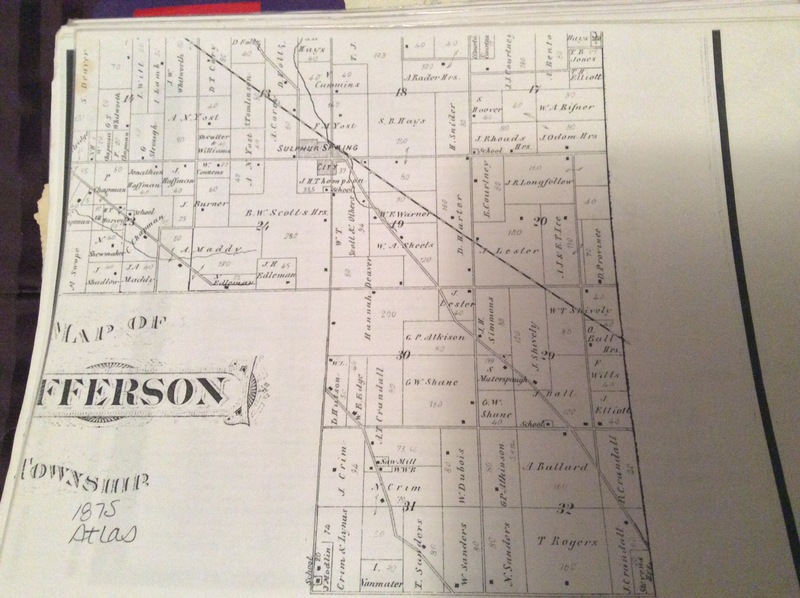 That map also gives the date that they applied for the land (in Aaron’s case it was Oct 1832; he then received the title in Oct 1834) and how many acres they owned. Knowing who their neighbors were helped a lot, too (FAN club!). On another note, I’ve been giving some serious thought to the webinar I watched recently, about being a personal historian. One of the persons a personal historian might contract some of their work to is a transcriptionist. 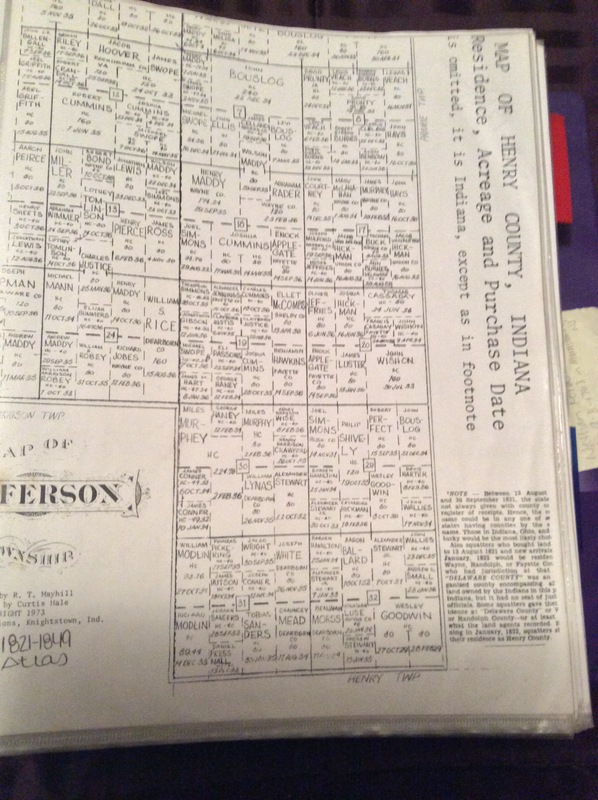 I do love my actual job of being a medical transcriptionist (just not all the politics behind it), and I thought why not take something I love to do and turn it more toward a genealogical slant than a medical slant? It’s something I’m considering, but I need to do some research into the logistics of it. I’ll keep you posted!